What Would Electing Hillary Clinton Mean To The Cannabis Industry? Over the course of the campaign, Hillary Clinton has offered encouraging glimpses into how she would tackle cannabis policy. Hillary Clinton on Tuesday was officially nominated to be the 2016 Democratic nominee for President of the United States, becoming the first woman ever to do so in one of the most historic and unpredictable elections in American history. What sorts of policies is Clinton likely to pursue if she ascends to the nation’s highest office? Advocates for changes in the nation’s cannabis laws are particularly curious and have already begun reading the tea leaves about what a Clinton administration could mean for them. In a March appearance on Jimmy Kimmel, Clinton let it be known that she is supportive of efforts to make medical cannabis legal and available to those who need it. I think what the states are doing right now needs to be supported, and I absolutely support all the states that are moving toward medical marijuana, moving toward absolutely legalizing it for recreational use, but I want to see what the states learn from that experience, because there are still a lot of questions that we have to answer at a federal level. Clinton was roundly criticized in the media for the claim that no research could be conducted on cannabis while it remains a Schedule 1 controlled substance. Nonetheless, activists should be heartened that the Democratic nominee has spoken in such unequivocal terms for the need to change the nation’s cannabis laws. Because of the stances adopted by Clinton both before and during the campaign, many observers expect the former First Lady and secretary of state to adopt a more reform-minded approach to cannabis policy. The view of Clinton as an ally of reform is shared by John Hudak, the deputy director of the Center for Effective Public Management at the Brookings Institution. Both candidates have offered some insights into how they would handle marijuana policy. Clinton has clearly offered a more reform-minded, Obama-style policy on cannabis, both recreational and medical. The famously risk-averse Clinton plainly feels safe coming out on the progressive side of the issue. This is not likely to be an accident, as most of the country probably feels that way: A May poll by Quinnipiac University found 54% of registered voters to be in favor of legalizing cannabis, with a whopping 89% saying they favor the legalization of medical cannabis. As long as those numbers continue to rise, Clinton is likely to remain an advocate for reform. The president is not the only high-ranking government official to affect cannabis law; the attorney general, as the nation’s chief law-enforcement officer, also plays a major role in how cannabis is approached from the government’s standpoint. Attorneys general must decide whether to enforce the federal government’s ban on the growth, sale, and use of cannabis. For example, the current attorney general, Loretta Lynch, supports states’ rights in deciding for themselves whether to legalize cannabis. One of the likely AG nominees for a President Donald Trump, current New Jersey Governor Chris Christie, would be more inclined take the opposite approach. Clinton has offered few clues as to whom she would select to fill the post. However, if that person’s thinking is reflective of her own, the next AG is likely to be someone who supports the rights of states to decide their cannabis laws and who will push for more progressive approaches to cannabis law. 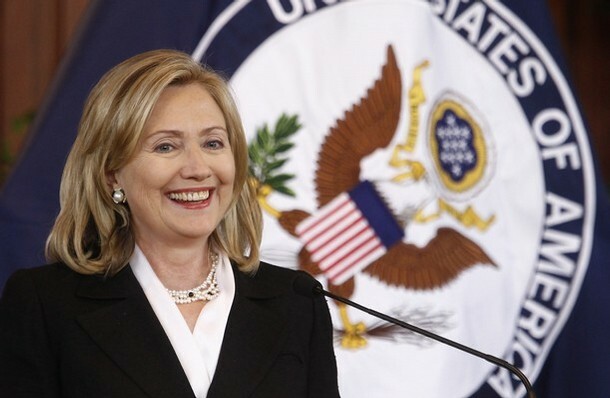 Would you like to see Hillary Clinton become President of the United States? Tell us why on social media or in the comments below.